I used to spend the springtime focused on college basketball, especially UConn, the team on which I played center and in 2011 won a national championship. 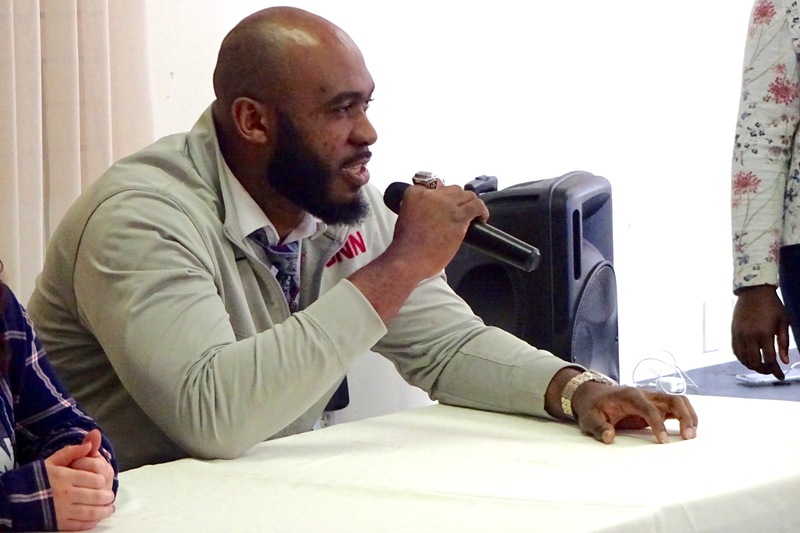 I’m married now, and a father, and this particular spring my wife Kelsey and I spent a Saturday visiting kids at the Africano Center in Waltham. These kids, from age four to sixteen, were either born in Africa or are the children of parents born in Africa. I was invited to spend a day with them in part because I, too, grew up in Africa—Lagos, Nigeria—before moving to the U.S. by myself as a nineteen-year-old athlete. 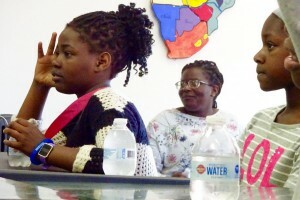 The visit was part of a larger series of public humanities events hosted at Africano Center, which provides local immigrant families the opportunity to share and celebrate their African cultures while also taking part in American life. Africano Center Executive Director Juliet Najjumba has designed these humanities programs to benefit the kids, and, when possible, their parents and grandparents. The events aren’t formal or academic, like the “humanities” I remember from school, but Africano (and many organizations like it) host events and create communities that are full of the humanities—culture, literature, and history—and that feel like home. For example, Kelsey and I arrived on African time—a few minutes late—and were greeted with smiles and music; a room full of African flags, maps, and art; and an African lunch. We spent most of the day talking, and kids made presentations. One young woman, destined to become an artist, had drawn an incredible portrait of me based on pictures she’d found, and several had done research on my life and history—both in Nigeria and in Connecticut. They made PowerPoint presentations to practice writing and presenting. They taught Kelsey and me dances that they perform around the community, and I played them a popular song from Nigeria. We also, of course, played some basketball. 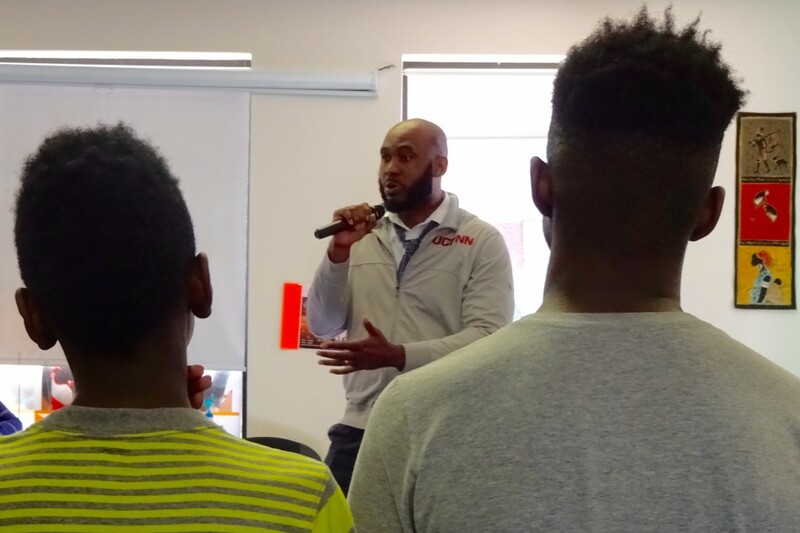 When I talked about my experiences, I wanted to show these kids that with hard work, attention to school, and passion put into whatever talents they have, they can be successful in America. Still, we talked a lot about Africa—about the differences between home and here. I told them how, during my first year at UConn, I ate only rice and beans, focused on practice and on classes, and felt lost without my family. But I always worked hard. I compared my school experiences, from almost twenty years ago in Nigeria, with an eleven-year-old’s memories of school in Uganda. Those African teachers were tough, and the days were long. We talked about how African parents are hard on their children, and I told them to always listen to their parents—and to Auntie Julie, the maternal figure of Africano. I told them what I’d learned about becoming a success, and becoming happy, in the United States. I haven’t been to Nigeria to see my family since I left. I talk to my brothers, and they send me songs and pictures, but I miss them. Spending the day at Africano made me feel at home. It’s the kind of community center that is another family: together, the kids read, dance, make jewelry, and learn about history and current events in African countries. Africano is open to all, but it’s here for us. It’s our family. 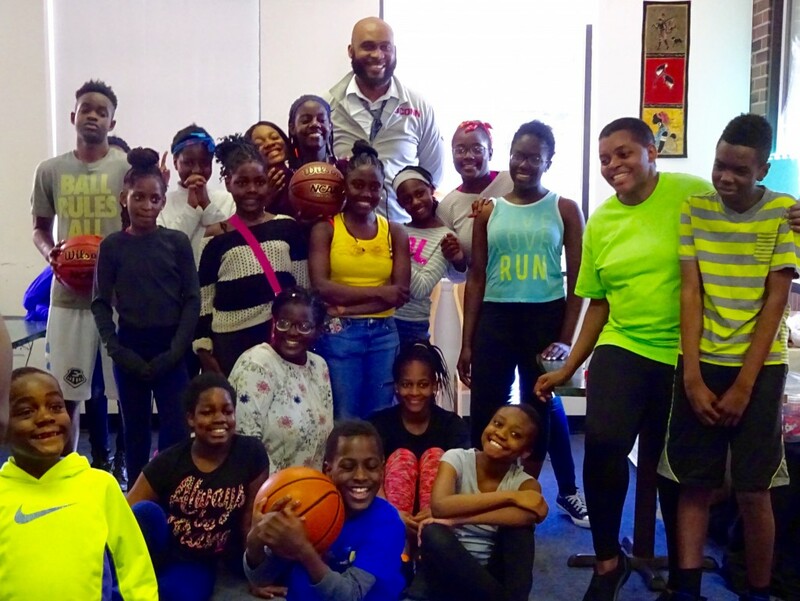 Even with all of this passion, Africano struggles to raise money to keep their space and host visitors, and they rely on the nearby public library and Boys and Girls Club. Juliet is unsure of what the future holds. These kids’ parents can’t always help out at events or easily pass on African traditions at home; they work several jobs, and they also work to protect their kids at home. “We need a place like this in Connecticut,” I told Juliet and Kelsey, as we sat down for dinner. And we do. Despite all of the difficulty and insecurity, centers like Africano—powered by love and community—help our immigrant groups tremendously. I wasn’t exactly sure what a “public humanities event” would be, but I quickly learned, and witnessed its importance. These kids practice writing and reading skills to succeed in school, and they learn about their African nations’ histories and cultures. They feel comfortable and at home, as did I, and I want my daughter to always have a place to feel that way, too.